Electric induction motors run at fixed speeds and are ideally suited to applications where a constant motor output speed is required. However, there are some applications where varying motor output speeds are preferable, better meeting the requirements of the load. While equipment like conveyors may be fine for a fixed speed, there are some applications which are better suited to running at variable speeds, such as fans, pumps, winders and precision tools. 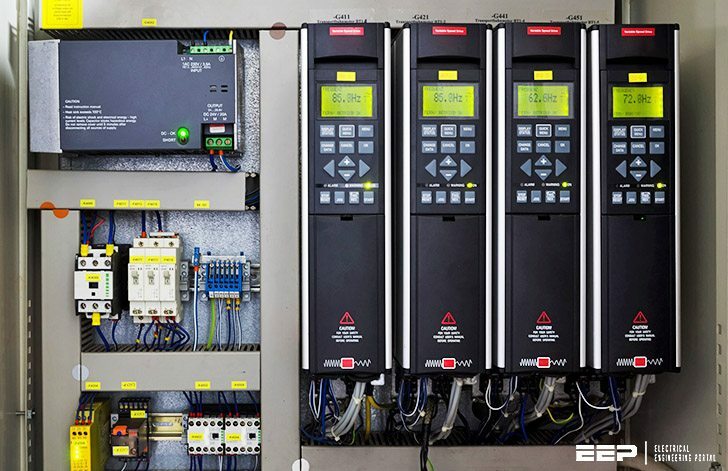 Historically, there have been a number of different methods of controlling processes without changing the fixed speeds of the motors driving them. For example: The flow rate produced by fans and pumps can be controlled by opening and closing dampers and valves or the speed of winders and stirrers can be controlled by gears and pulleys. Although the flow or speed is reduced by using these methods, the consequent power reduction of the motor is small and so the method is not as energy efficient as it could be. 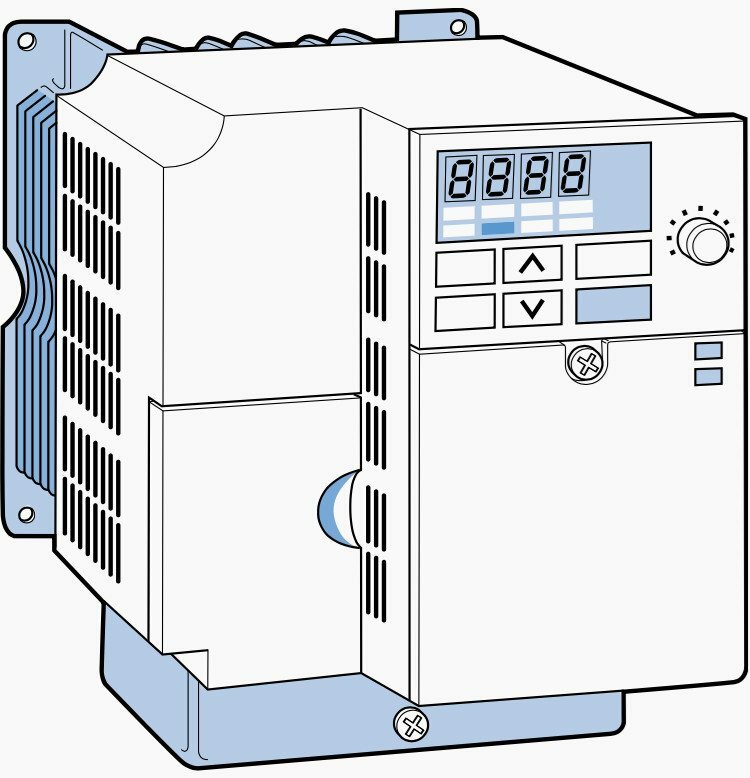 A variable speed drive (VSD), also known as a frequency converter, adjustable speed drive or inverter, is an electronic device that controls the characteristics of a motor’s electrical supply. Therefore, it is able to control the speed and torque of a motor, achieving a better match with the process requirements of the machine it is driving. 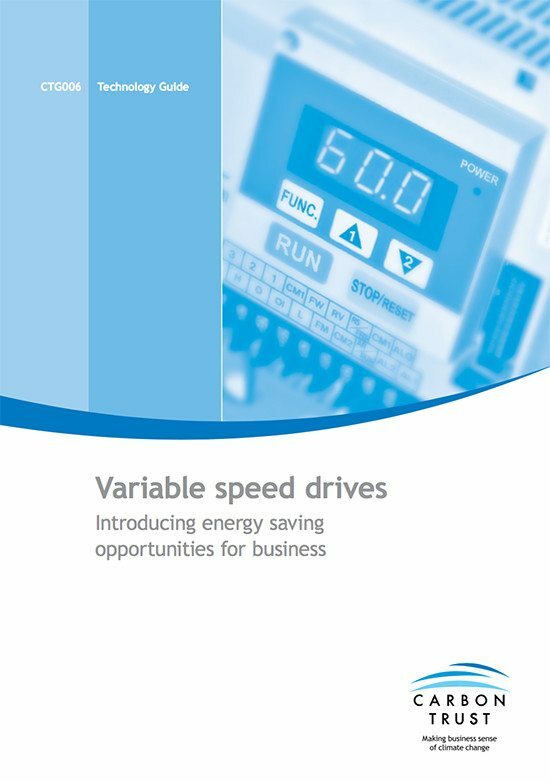 So, in applications where variable control is desirable, slowing down a motor with a VSD does reduce energy use substantially. 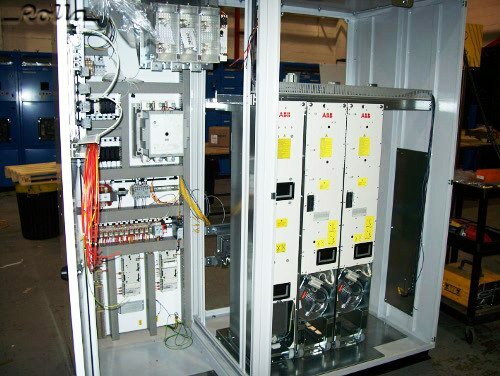 A VSD works by converting the incoming electrical supply of fixed frequency into a variable frequency output. This variation in frequency allows the drive to control the way in which the motor operates – a low frequency for a slow speed, and a higher frequency for a faster speed. The output can also be changed to enable the motor to generate more or less torque as required. So, the motor and drive combination might be used for turning a large load at fairly slow speeds, or turning a lighter load at high speeds, maximising efficiency. VSDs are supplied in a wide range of sizes from 0.18 kW through to several MW and may be optimised to suit particular applications. VSDs are typically 92-95% efficient with 5-8% losses being due to additional heat dissipation caused by the high frequency electrical switching and the additional power required by the electronic components. The losses are usually more than compensated for by the savings at the motor. The motor itself also has various internal losses and, if it is attached to a transmission system of some sort (for example, a gearbox or pulley), then this introduces further losses in the form of friction. So, typically, only 75-80% of the energy supplied to the motor system is transmitted to the end–use equipment. The majority of these losses appear as heat. A drive can be located inside an enclosure, some distance away from the motor itself, or it can be directly attached to it. One thing to remember is that if equipment is located in a particularly dirty or badly ventilated area, then it is advisable to relocate the drive to a suitably protected area. This should be an area which is clean, dry and of a suitable temperature to allow adequate cooling. Larger drives can generate quite a lot of heat, and this needs to be removed or the unit will eventually overheat and fail.